B&R's new IP65 Automation Panel 920 is equipped with a robust stainless steel housing and a 19-inch display, providing a combination of ease of operation and a high degree of reliability, even under harsh operating conditions. 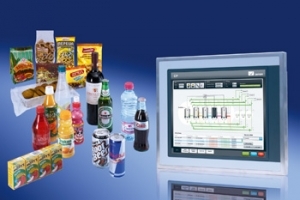 The stainless steel HMI (human-machine interface) features a hygienic design with a single-piece front foil that is free of gaps and seams that might otherwise collect dirt. This makes it suitable for applications where high levels of sterility and cleanliness are required, such as in the food and pharmaceuticals industries. Furthermore, the resistive touchscreen is said to be easy to operate, even when wearing thick gloves. High-quality IP66 protection on the front side and IP65 protection on the back enable quick and easy cleaning. Peripheral devices and storage media can be easily connected using the IP65 USB port. Pre-assembled connection cables with connectors and a wide range of mounting options on standard swing arm systems ensure a smooth commissioning process.